A shipload of women—theirs for the taking! Pirate captain Gideon Horn couldn't be more delighted. His men are tired of wandering the high seas and want to settle down with wives on the uncharted island paradise they've discovered. And the women are bound to be grateful to be rescued from the life of drudgery awaiting them in New South Wales . . .
Married? To pirates? Sara Willis couldn't be more appalled. First she demands proper courting—at least a month. 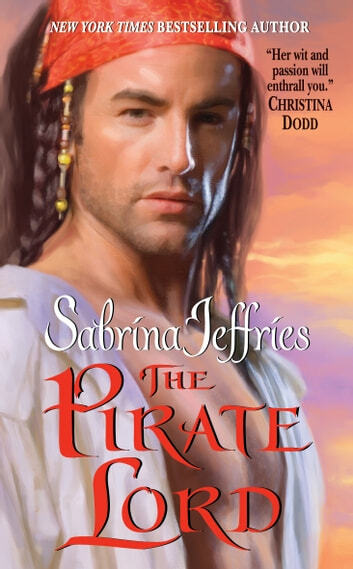 The darkly handsome pirate lord gives them two weeks. Then Sara insists the men vacate their huts for the women—Gideon demands her kisses in return. As the demands heat up, so do their passions—and soon Sara can't remember just why she's fighting the devilishly seductive captain so hard. . . This story was agreat read. The story line flows so well your unable to put the book down. I had the book finished in two days. shocking cover but great read! I did really enjoy this book despite its dodgy cover lol. It was one I had trouble putting down and didn't have any points that make you roll your eyes. Was a nice enjoyable easy read!